Which of the following species do not show disproportionation on reaction? Which one of the following acts as nucleophile? During estimation of nitrogen in the organic compound by Kjeldahl’s method, the ammonia evolved from 0.5 g of the compound in Kjeldahl’s estimation of nitrogen, neutralized 10 mL of 1M H2SO4. Find out the percentage of nitrogen in the compound. Which of the following compounds have highest melting point? Identify the major product ‘X’ obtained in the following reaction. Addition of water of alkynes occurs in acidic medium and in the presence Hg2+ ions as a catalyst. Which of the following products will be formed on addition of water to but-1-yne under these conditions? The osmotic pressure of blood is 8.21 atm at 37℃. How much glucose would be used for injection that is at the same osmotic pressure as blood? A chelating agent has two or more than two donor atoms to bind a single metal ion. 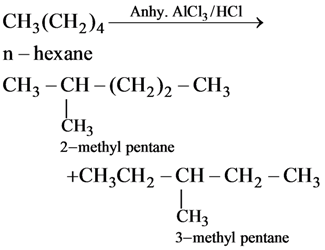 Which of the following is not a chelating agent? On addition of small amount of KMnO4 to conc. H2SO4, a green oily compound is obtained which is highly explosive in nature. Identify the compound from the following. Which of the following elements can be involved in pπ – pπ bonding? On addition of conc. H2SO4 to a chloride salt, colourless fumes are evolved but in case o iodide slat, violet fumes come out. This is because. Which of the following statement is not correct about an inert electrode in a cell? It does not participate in the cell reaction. It provides surface either for oxidation or for reduction reaction. It provides surface for conduction of electrons. and of cell reaction both are extensive properties. and of cell reaction both are intensive properties. in the intensive property while of cell reaction is an extensive properly. in the extensive property while of cell reaction is an intensive properly. Which of the following curves is in accordance with Freundlich adsorption isotherm? Which of the following is the increasing order of enthalpy of vaporization? Which of the following is 3° amine? Which of the following enhances lathering property of soap? Which one of the following statements about C2 molecule is wrong? The bond order of is 2. In vapour phase, molecule is diamagnetic. Double bond in molecule consists of both π-bonds because of the presence of in two π-molecular orbitals. double bond in molecule consists of one σ-bond and on π-bond. Maximum number of electrons in a subshell of an atom determined by the following? pKa of acetic acid and pKb of ammonium hydroxide are 4.76 and 4.75 respectively. Calculate the pH of ammonium acetate solution. 2A ⇋ B + C is 2 × 10−3. At a given time, if the composition of reaction mixture is [A] = [B] = [C] = 3 × 10−3 M. Which is true?